As you know each fortnight Sattwa Skincare has a stall at the Organic Markets. 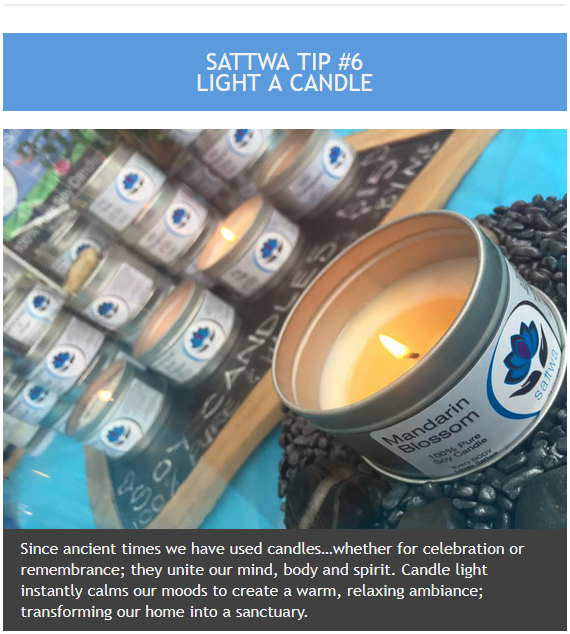 I am often asked “what does Sattwa mean?” Since I had promised you all part two of my 3 quick tips to bring more “sattwa” to your day - I thought it might be helpful to explain first…what on earth that means! The Ancient Indians believed the energy of these three “guna” were present around us all the time, but in varying concentrations. Each guna has an important place in our existence. 1. Sattwa is all things peace, calm, happiness, good health, generosity, love, freedom from disease (eg enjoying a sunrise over a calm ocean). 3. Tamas is darkness, sickness, lethargy, heaviness, it allows us to sleep at night. 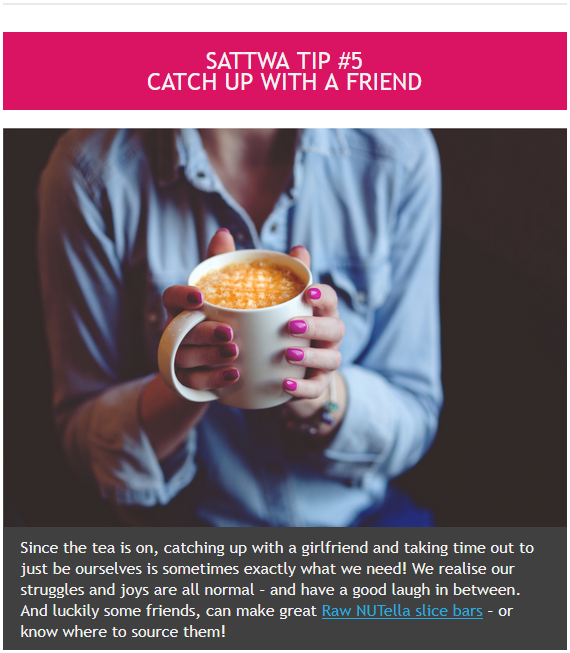 So there you have my 3 quick and easy tips for some Sattwa express! Choose just one or all 3 to bring a ‘lil bit of relaxation to your day. 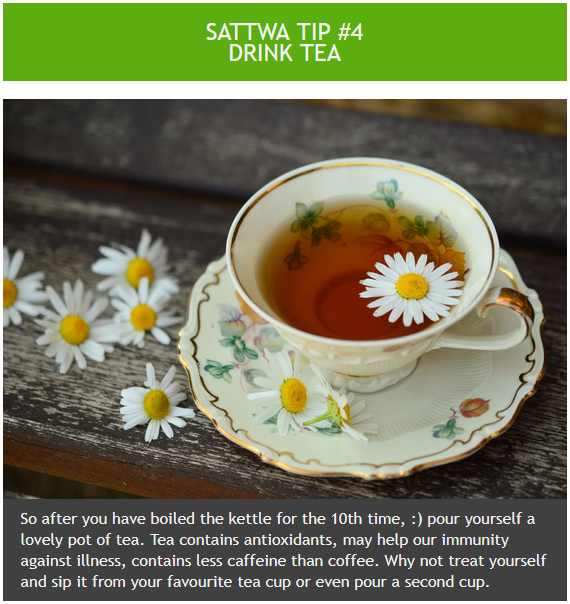 I hope your skin is just loving your Sattwa Skincare, & would love to hear your feedback.